MK Ayman Odeh chosen to head Hadash ahead of the elections for the 21st Knesset. MK Ayman Odeh was re-elected on Friday to head the Hadash party, ahead of the elections for the 21st Knesset on April 9. The Hadash council, which met in Shfaram, made the decision unanimously after two other candidates, Jafar Farah and Shukri Awadah, withdrew their candidacy. MK Aida Touma-Sliman was elected for the number two spot on the Hadash list. "We are obligated to proudly represent the Arab public and the Jewish democratic forces. We are not afraid of Netanyahu, because we have an army of activists who want peace, freedom and justice," she said. In the 20th Knesset, Odeh headed the Joint List, which was an alliance between Hadash, Ra’am-Ta’al, and Balad. Like many of the other Arab MKs, Odeh has been a controversial figure. Last September, he met with European Foreign Minister Federica Mogherini as part of the efforts by Arab leaders to delegitimize the Nationality Law. 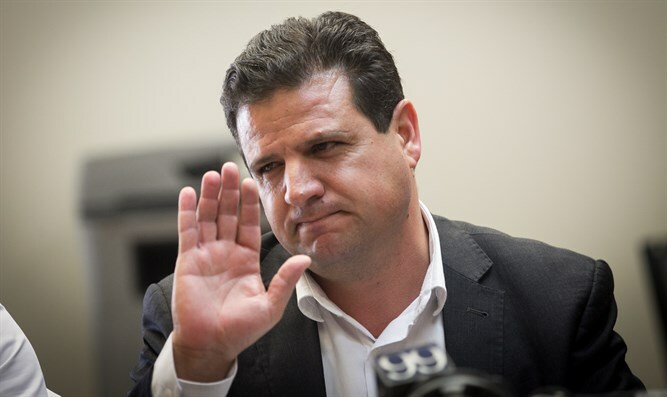 Last July, Odeh was suspended from the Knesset plenum and committees for a week after he hurled abusive remarks at police officers at the Bnei Zion Hospital in Haifa. Previously, he took part in a conference at the Russian embassy in eastern Jerusalem, during which it was planned to declare Jerusalem as the capital of "Palestine". The conference was prevented by the police from taking place. Public Security Minister Gilad Erdan (Likud) has been particularly critical of Odeh. Last month, after Odeh filed a complaint with the Knesset Ethics Committee against Erdan, the minister responded by saying Odeh is a supporter of terrorism.